Chicago, one of the largest cities in the country, is famous for its bold architecture, including the iconic John Hancock Center and the neo-Gothic Tribune Tower. 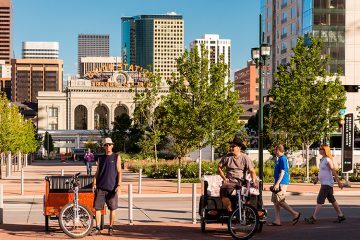 The city is full of attractions: museums, art galleries, and parks. The most notable attractions include Millennium Park, Art Institute of Chicago, Wrigley Field, Garfield Park Conservatory, Lincoln Park Zoo, The Field Museum, Chicago Riverwalk, Museum of Contemporary Art, Shedd Aquarium, Museum of Science and Industry and many more. 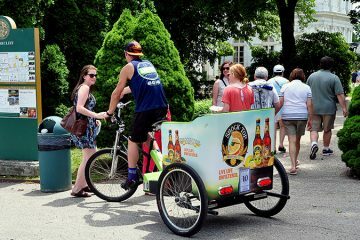 There are numerous ways to explore the city but the most eco-friendly and fun one is represented by pedicabs. 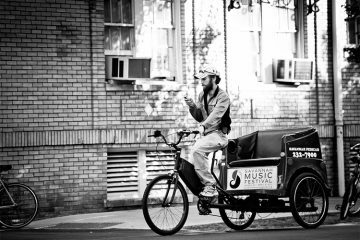 Though pedicabs in Chicago are potentially banned from congested areas and the city regulations are quite strict, there are numerous pedicab businesses in Chicago, including Blume Brothers Pedicab, Zone 1 Pedicab Service, Darren’s Rickshaw, Second City Tuk Tuks Pedicab and some others. Pedicabs in Chicago are very safe. The thing is that the city regulations do not allow pedicab riders to join the road until there is a safe and efficient flow of traffic. 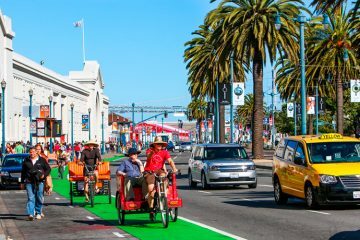 Furthermore, pedicabs in Chicago are required to meet rigid safety standards including passenger seat belts, to be licensed and to provide proof of workers compensation insurance. In other words, pedicabs in Chicago are safer than anywhere else in the country. 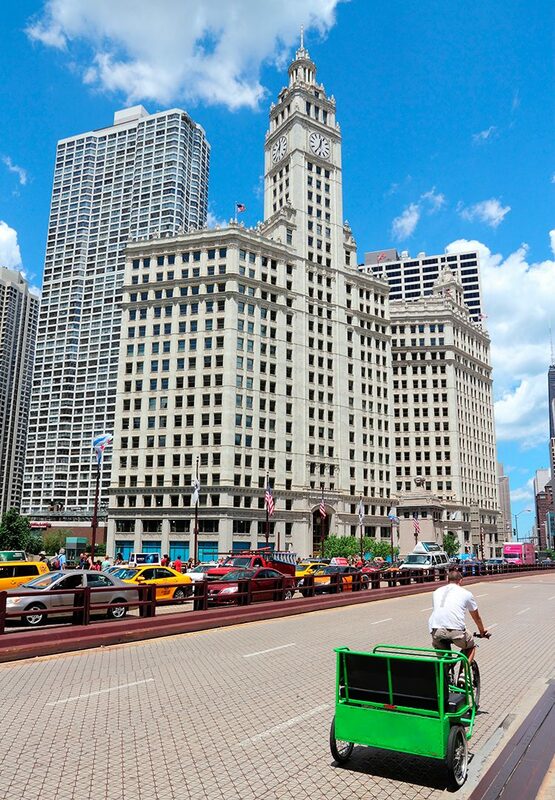 Chicago pedicab tours are considered to be one of the greatest ways to explore the city. There are numerous options available. There is a 29-mile long bike path along the lakefront, so you can explore it in a pedicab and find out what it has to offer. You can also take part in an architectural tour to see the world-class architecture. If you are in Chicago to visit its bars and restaurants, choose Wrigleyville tour. There is also a Museum tour that allows you to visit such places as Shedd Aquarium, Field Museum, Planetarium, Children’s Museum, Nature Museum, Art Institute, Museum of Contemporary Art, The Museum of Science and Industry, and the Chicago Historical Society. As the downtown of Chicago is known as the home to world-class theatres such as Chicago Theatre, Oriental Theater, Cadillac Palace, and The Goodman Theater, pedicab services in the city also offer Theatre tours. 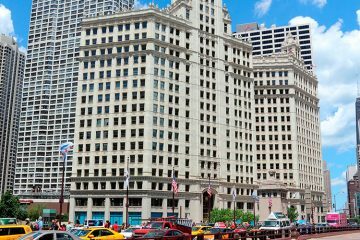 If you are in Chicago with the aim to shop, let pedicab services to take you to Michigan Avenue Tour. It will allow you to discover the best places to shop. 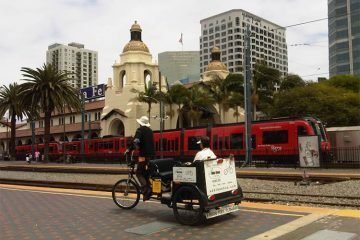 A pedicab rider will wait until you done shopping to take you to your next destination. Chicago is also known as the city of moving bridges. So if you are here to see these mechanical marvels, taking a Bridge tour can become your best choice. Also, do not miss a chance to explore Chinatown! 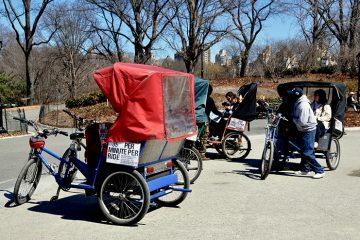 There are many more tours offered by pedicab businesses in Chicago. All you have to do is to choose the one you are interested in, to arrange the time and the date and to get ready for the eco-friendly adventure.